I sent this question to Amazon’s customer service people today. I am working on a bibliography “Books of the Black Bass.” and each time I see an interesting Bass eBook I check to see if there is or will be a published book. When I saw Ronnie Garrison’s “Keys To Catching Clarks Hill Bass I checked his website and it said if I bought the ebook I could print a Copy for my own use. I ordered the ebook and bigger than Hell it said “You can also print out the whole book or a chapter to take with you on a fishing trip.” I haven’t been able to print a copy so it appears the ebook is protected. Either the author never talked to you about this thing or you just ignored what he wrote in the book. Now my question, Can it be copied? If not I want a refund and I will review the book and warn others that might want to copy something out of it. If I can copy the book please tell me how to do it. I do not list an ebook in the biblio unless I have a printed copy in hand andi it appears I was led astray by this author. There is also software available to help you print an eBook but most cost something. I am considering offering a printed version but it would be more expensive than the eBook. I bought your ebook for Clarks Hill, it was AWESOME. Unfortunately, I didn’t make the top 12 so I am not there this weekend, assuming you are. We’ve met at a couple of events, I am with Marietta BassMasters. By the way, we’re fishing Lanier this next weekend, hope you get the Lanier book done by then! (just kidding, of course). If you’re fishing, catchem! Unfortunately, I was at the Top Six! My club had a two day there the weekend before and I struggled to catch five keepers each day – had ten weighing 13.76 for second by 4 hundredths of a pound. I thought I had found some deep jigging spoon fish on Monday – got a six pounder off one place. Dan with your club fished with me the first day of the top six and it stayed tough. Nothing on the six pound hole but first drop on one of the others I got a keeper – spoon never hit bottom. Then we caught fish after fish – all hybrids, crappie and short bass. I did manage two that afternoon on his holes and he got two, including one just under six pounds. Was shocked it took 20 pounds to lead that day. I got a limit by 10 the next morning but all small fish, eight something. So tough tournament for me. 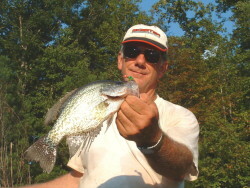 My club is fishing Lanier Sunday – will try some of the map of the month holes. I hope to have the Lanier book done by spring fishing. Glad you like the Clark’s Hill book! I bought the book (kindle) about Clark Hill. I would like to download the Month of November and the map. Is there a way I can do that? Im not sure what you mean about downloading the book to your computer. If you just want it on your computer you can do it since I am pretty sure you can download any book you buy to five different devices. This video shows how; https://www.youtube.com/watch?v=_lSlNHIq1rs I have the kindle app on my phone and can download to it, too. If you want it in a form you can print a chapter, I am not sure you can do it this way. If this does not work email me and I will send you a copy in MS Word since you have already bought the book. How can I get your book for West Point Lake?